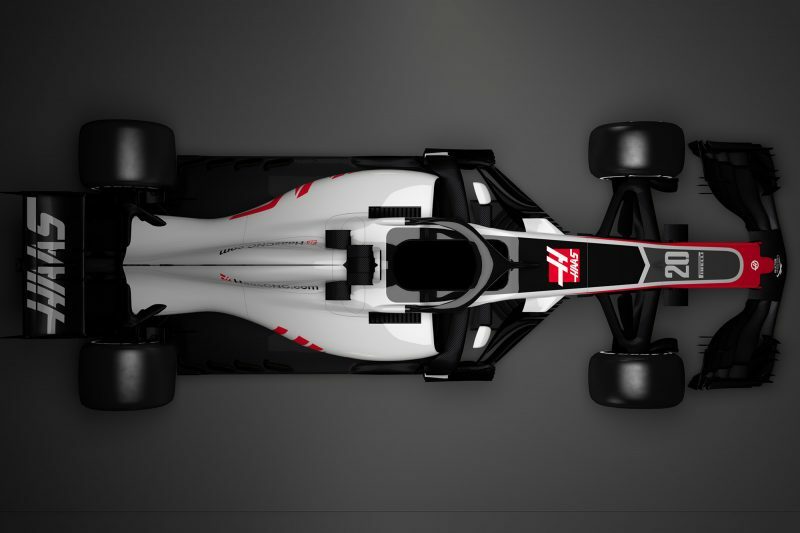 Haas F1 has become the first team to reveal its 2018 Formula 1 car after releasing renderings of the new VF-18. The Ferrari powered car is an evolution of last year’s VF-17, with the most visible differences being the removal of the shark fin engine cover and the addition of the halo. The team says a lot of the focus on the new design has been overcoming aerodynamic and handling weaknesses that hindered its progress throughout 2017. 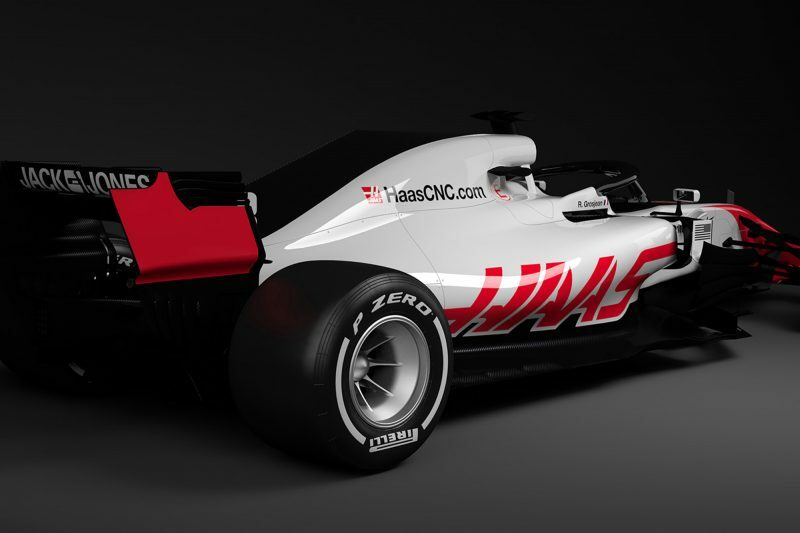 In particular, Haas wants to create a more stable platform to ensure that its form does not fluctuate from race to race as dramatically as has been the case in its first two years. A lot of effort has gone into weight reduction so Haas can use more ballast to help with the set-up. 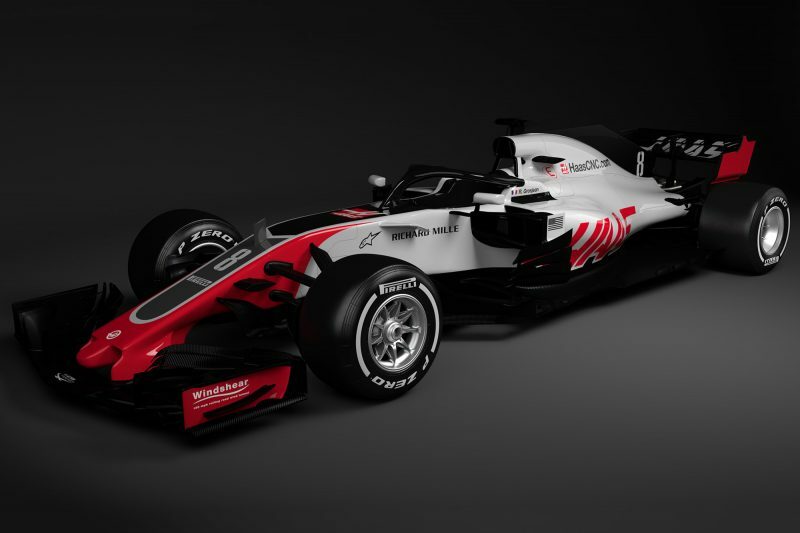 Gunther Steiner, team principal, acknowledged that there was little radically new on the car, beyond the changes forced by the shark fin and halo regulation changes. “The biggest part of the car’s evolution was the addition of the halo,” he said. “It took quite a bit of study by the aerodynamicists, but the designers had to work hard to modify the chassis so the halo could survive the mandated loads. 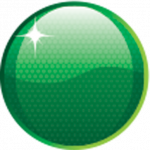 “The total minimum weight of the car increased because of the halo, and there’s a higher centre of gravity simply because of the halo’s position. But, everyone is in the same boat. “The regulations stayed pretty stable between 2017 and 2018, so the VF-18 is an evolution of our car from last year. Steiner believes that Haas can make good progress in the constructors’ championship if it learns to extract more from its car on weekends, having finished eighth in both campaigns so far. “Our 2017 car was actually pretty good, but we didn’t always get the best out of it, and that’s what we aimed to change in 2018,” he explained. 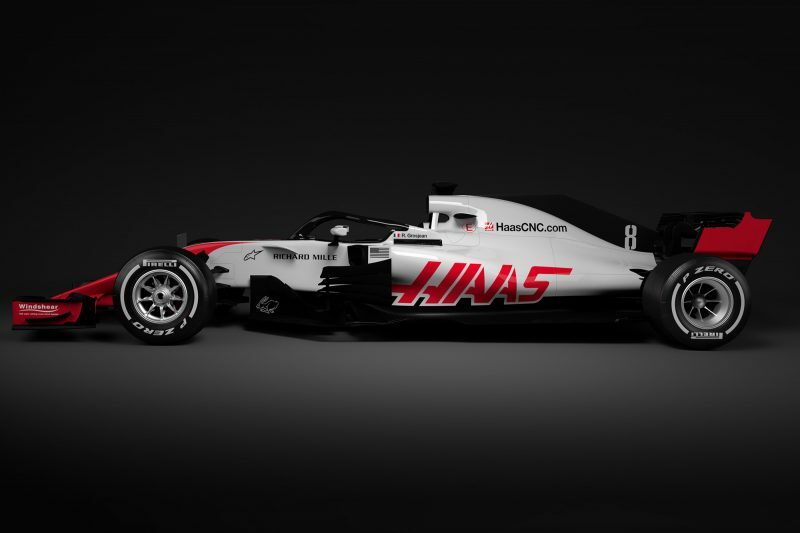 The Haas VF-18 has retained the corporate grey, red and black colours of its parent company – edging back towards the colour scheme the team had in its maiden F1 campaign in 2016.